Hello and welcome to exampundit. After getting a lot of queries related to IBPS PO 2018 via emails and messages we have decided to give you a list of IBPS PO 2018 Frequently Asked Questions (FAQs). 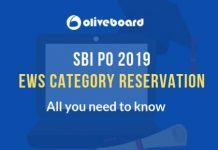 When will the Online Registration of IBPS PO 2018 start? When is the last date of Registration/Payment of IBPS PO 2018? What is the application fee of IBPS PO 2018? What is the selection Process of IBPS PO 2018? What is the Minimum Age of IBPS PO 2018? I was born after 1st August, 1998. Can I Apply for IBPS PO 2018? – No. The candidate must not be born later than 01.08.1998. What is the Maximum Age of IBPS PO 2018? I was born before 2nd August, 1988. Can I apply for IBPS PO 2018? – No. A candidate must have been born not earlier than 02.08.1988. Can I use the same Hand Written Declaration used for IBPS RRB in IBPS PO 2018 Application? What is the text for the hand written declaration in IBPS PO 2018? Please read the full article on How to Write Hand Written Declaration for IBPS PO 2018. In which language I need to write the declaration for IBPS PO 2018? Some Banks have reported NIL in IBPS PO 2018 Notification, what does it mean? 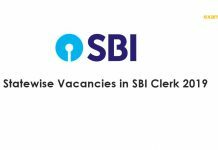 – That means, the bank has reported NIL vacancies for IBPS PO 2018 Recruitment Process. Some Banks have reported NR in IBPS PO 2018 Notification, what does it mean? – NR means Not Report, So the bank has reported may or may not announce vacancies for IBPS PO 2018 Recruitment Process. 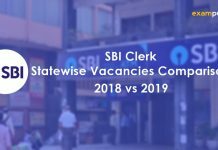 Can I expect increase in Vacancies in IBPS PO 2018? – After announcing the notification, the vacancies increased, so we can hope for increase. But do know everything is tentative. 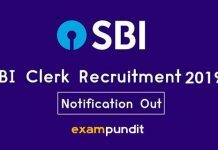 Some Banks have reported NR/NIL Vacancies in IBPS PO 2018, what to do? – Banks like Bank of Baroda, Indian Bank already recruited through PGDBF, so it is better to keep them below no matter what. On the other hand, it is advised to rank banks as per No. 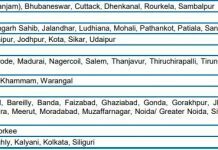 of Vacancies and then NR and finally NIL. Please read our Detailed Bank Preference List of IBPS PO 2018 Application. I have appeared in IBPS PO Prelims but did not qualify for Mains, does it count as an attempt? – No. Your IBPS PO Mains Appearances are counted as attempts. I am currently pursuing bachelors degree and my result will be out before 4 September 2018. Can I apply for IBPS PO 2018? – Yes. If your result is out before 04.09.2018, you are eligible. I am currently pursuing bachelors degree and my result will be out after 4 September, 2018. Can I apply for IBPS PO 2018? – NO. All the educational qualifications mentioned should be from a University/ Institution/ Board recognised by Govt. Of India/ approved by Govt. Regulatory Bodies and the final result should have been declared on or before 04.09.2018. Proper document from Board / University for having declared the result on or before 04.09.2018 has to be submitted at the time of interview. When will we be able to download the call letters for online examination – Prelims? When will the IBPS PO 2018 Preliminary Exam be conducted? When will the IBPS PO 2018 Preliminary Exam result come out? When will we be able to Download the call letters for Online Examination – Mains? When will IBPS Conduct the IBPS PO 2018 Mains Exam? When will IBPS PO 2018 Main Exam Result come out? What is the IBPS PO 2018 Prelims Exam Format? What is the time duration of IBPS PO 2018 Prelims? – 1 Hour. 20 Minutes Each for Every Seaction. Is there Sectional Timing in IBPS PO Prelims 2018? What is the Format and Time Duration of IBPS PO 2018 Mains Exam? – 3 Hours 30 minutes Time Duration. What is the exam pattern of IBPS PO 2018 Mains Exam? 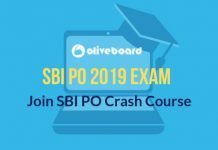 Is there Descriptive Test in IBPS PO 2018 Mains? Is there any Sectional Cut-off in IBPS PO 2018 Prelims/Mains Exam?